Did you know that the World Health Organization recently announced gaming addiction as a real diagnosis which should be recognized? Were you aware that games are specifically designed to be addictive? 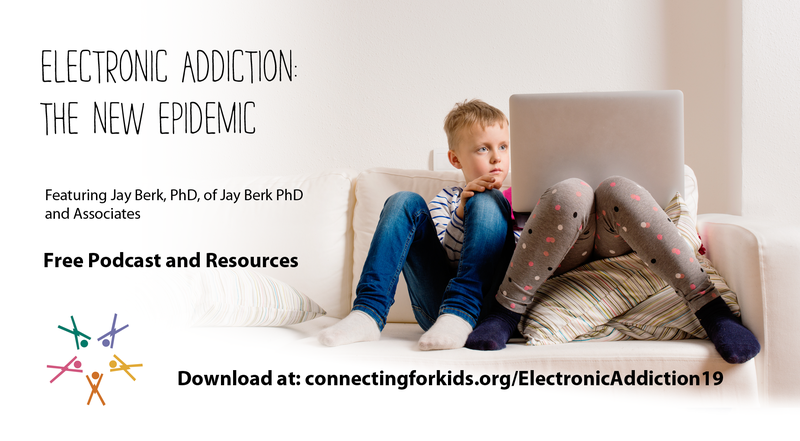 Join Dr. Jay Berk, of Jay Berk, PhD & Associates and author of "A Parent's Quick Guide to Electronic Addiction," for a lively and informative discussion about the new emerging crisis of electronic and gaming addiction. Dr. Berk will identify the signs of electronic addiction and how to manage behaviors associated with it, such as rage, refusal to give up electronics, loss of friends, social isolation and inappropriate activities on electronics.